The FSFE summit is organised as a subconference of the QtCon, that brings together the events and communities of Qt Contributors, VideoLAN, KDAB, KDE and FSFE. From the organisational side, such a gathering comes with a lot of synergy effects and participants have the benefit to join five conferences at the same time. To represent such a cross-community and cross-border Free Software meeting, and with the help of Qt and KDAB, we have decided to host our conferences in the Berlin Congress Center (BCC). This is a representative building in the heart of Berlin. Although far from being a low-cost venue, it comes with the size to cover such a huge gathering of different communities. Also, it comes with a full catering and service that helps everyone involved, especially the participants, to concentrate on topics, meetings and networking instead of running around and looking for food. Be aware that, although the BCC is a huge location, the space is physically limited. To offer a peaceful and secure environment for everyone, we need to run a registration process to guarantee we do not get overcrowded. Such a big event, including catering for the participants, costs us organisers a lot of money. So far we could not match our investments with refunds by sponsors. 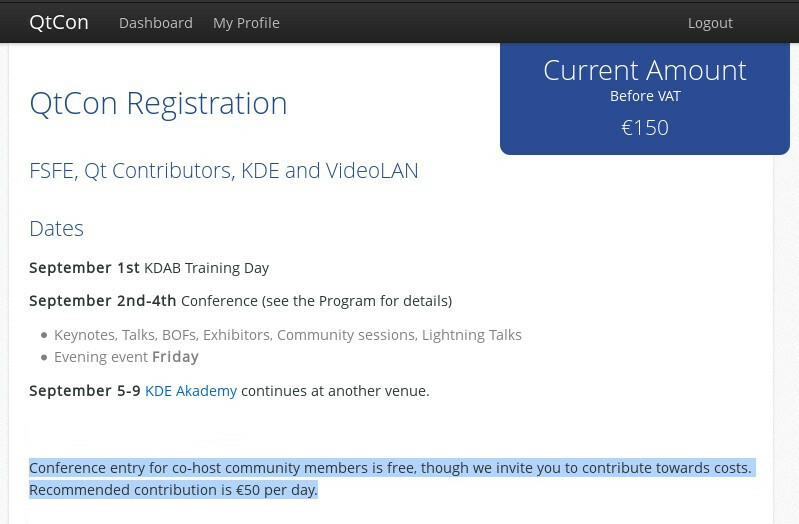 The general public entrance fee is 350 Euro for the whole QtCon conference. For our community members it is possible to enter for no cost. However, we propose to participants a voluntary donation to help us covering our costs. We are aware that financial resources are different among our community members and that financial costs might limit individual participation. And it is important for us to not exclude anyone from our community just because of the costs. We therefore decided to offer a flexible donation as an entrance fee for our community members. That means, no one is forced to pay entrance fee. During the registration process you can slide your voluntary donation up or down to any amount you like, including zero. But please keep in mind that there is three days of catering included. Means, if you participate in the FSFE summit you most probably save more than 50 Euro by not having to buy food for three days in the center of Berlin. 150 Euro: Choose around one hundred and fifty Euro to fully cover our costs and to enable us to run another summit in the future. This is the proposed amount of the organisers and the default in your registration process. Your donation is highly appreciated. 100 Euro: Choose around one hundred Euro if you are a member of the FSFE community and you like us to help covering our costs. With this amount you also help us to run another summit in the future. 50 Euro: Choose around fifty Euro if you are an active member of the FSFE community, you cannot afford to pay entrance fee but you like us to at least cover the catering costs. Realistically, you save around the same amount by not having to pay food, coffee, lunch and drinks for three days in the center of Berlin. 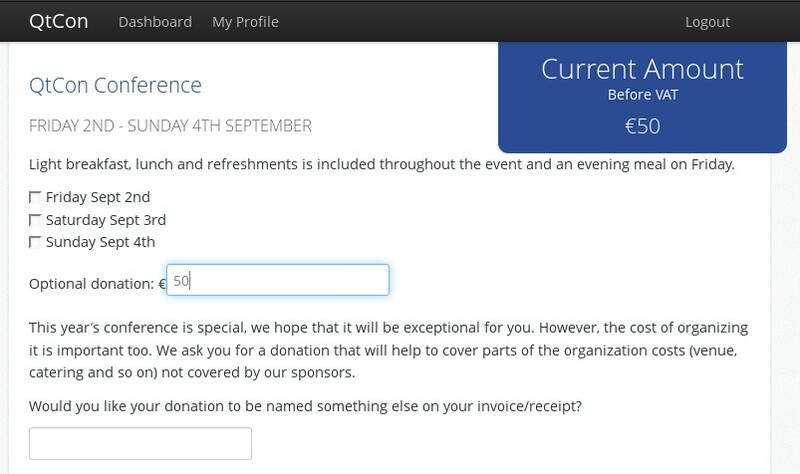 Fifty Euro therefore can be seen as a simple way to give back the costs you actually save by attending the conference. 0 Euro: Choose zero Euro if you are an active member of the FSFE community and you cannot afford to pay any entrance fee. Please, still feel welcome! Unfortunately, this donation is not tax-deductable. If you are a volunteer for the summit or a contributing community member of the FSFE and you need help to cover your travel and/or accommodation costs to Berlin, please get in contact. We like our active contributors and community members to be part of the summit and we therefore offer scholarships of up to 300 Euros to help you come here. Please state in your mail how you are contributing to the FSFE and your estimated travel costs. We offer an environment in that every participant feels safe and respected, no matter the gender identity, sexual orientation, race, ability, shape, size or preferred desktop environment. Please see our Code of Conduct for details. To participate in the FSFE summit, you need to register. The registration process for QtCon is being managed by KDE on behalf of the other co-hosts: Qt Contributors, FSFE, VideoLAN and KDAB. In the pop-up menu, please check "Free Software Foundation Europe" and/or your interests and contributions. It is not necessary to fill in your interests and contributions. It is mainly for internal purposes. We know that many community members do not contribute "officially", but represent FSFE and our message in their environment and day-to-day activities. 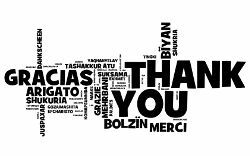 We understand you as an integral part of our message, outreach and community. In the next step, be aware that the 150 Euro that you see on the top right corner are a proposed donation to cover our costs. However, you can slide up or down your financial support. Yes, you can also go down to zero, as stated on the very same page and highlighted in blue in this screenshot. Read the Your donation for attendance section for more background on this decision. An example of a changed donation. Although it is possible to go down to zero, (see Your donation for attendance section), fifty Euro is our recommended minimum choice of donation, as this is the money you are supposed to save by not having to buy food for three days.